Elizabeth Frisch, is a corporate fixer with a heart of gold and a passion to combine technological solutions with high performance leadership. As the founder of Your Corporate Shrink, plus CEO of Thrival Company, and a recovering engineer, she has been called the ‘engineer of business success.’ Working in the background of some of the best-known brands in the world, she and her team are part head, part heart, and all about successful business. 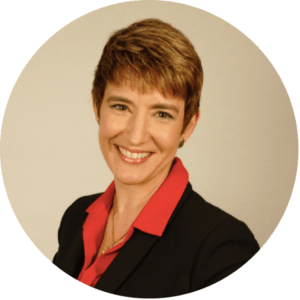 Elizabeth is the Author of Mission to Million$ – Taking Big Ideas and Making Them Reality, business consultant to Fortune 500 companies, state and federal government agencies, not-for-profits and the U.S. Military. Featured on over 170 major news media venues such as CBS, NBC, FOX and ABC, her company’s work came to the forefront due to the success of the show Billions and specifically, the Wendy Rhodes character, opening a small curtain into what Your Corporate Shrink and The Thrival Company do ‘behind the scenes’ for organizations. And the “Hollywoodized” Wendy Rhodes ‘service’ is just a fraction of what is possible for your organization in solving business performance problems by getting to the source. Elizabeth feels one of her biggest accomplishments is quitting her ‘day’ job, launching her 1st company, while losing 100+ pounds, and reversing two autoimmune diseases 15 years ago. She now guides the Your Corporate Shrink team, leading organizations to consistent high performance and win-win leadership solutions. The Corporate Shrink Team (a division of The Thrival Company), provides Advisory, Assurance, Professional development, CEU/PDC Training, and Assessment services to our clientele. We also hold a GSA Contract with the federal government with an unparalleled rate and service schedule compared to our competitors and are a certified Women-Owned Small Business. Your Corporate Shrink believes you can’t engineer humans – but you can engineer leaders. Are you tired of being told by someone with little to no actual life experience on how to ‘fix’ your organization using the same cookie cutter approaches and analytics?  How would you like to have access to dozens of organizational masters with a minimum of 15 years’ experience solving your issues (and our average level of experience is more than 20 years of organizational and industrial experience)? Our staff and faculty are not just trained coaches, engineers, project managers, designers and facilitators, but recognized leaders and life-long learners in the areas of psychology, brain science, business transformation, change management, leadership development, team building, strategy and the new social media environments. Elizabeth Frisch is the founder and CXO of The Thrival Company and Your Corporate Shrink. She started her career as a chemical engineer from Purdue University and then cross-trained into psychology, business performance, auditing, and organizational culture and individual behavior change. She has empowered dozens of federal, state, and local agencies as well as the U.S. Military in achieving impossible outcomes on limited budget and resources. Spending more than 25 years of leading, teaching, designing, and coaching engineering, environmental, and organizational development programs, she realized that there were common individual and cultural practices used that determined whether an initiative was successful or not. Loving the challenges of broad social change and making people’s big ideas a reality, these observations inspired her to develop a series of leadership practices which she uses to empower individuals into leadership. Her clientele are diverse, ranging from Fortune 500 companies to government agencies, non-profits and the U.S. Military. She is a keynote speaker and best-selling author and passionate team builder in divisive environments, speaking on topics of leadership, behavior change, social evolution, and innovation, sharing her story of her personal epiphany after the birth of her first child and realizing after many failed attempts that ‘You can’t engineer humans!’ Her work has impacted the lives of thousands upon thousands of people helping them fulfill their dreams and visions for their lives, communities and workplaces. Elizabeth brings an honest, insightful, broad-reaching and often humorous perspective on human nature and the behaviors we adopt that save us or sink us. Her work allows her to bring a broad and unique perspective on how to combine the best practices in each model of business to create organizations that deliver on their vision and mission and have fun doing it! From the plant floor to the top floor, Elizabeth is just as comfortable in a hard hat and boots building teams in the field as she is working with boards and C-level management on strategy, leadership succession and making their next big vision a reality! In her personal life, Ms. Frisch is passionate about donating her time, talents, and treasure to her favorite charities working on big environmental and social issues. She is an active volunteer and member of Impact Austin (www.impact-austin.org) a women’s giving foundation and supports more than a dozen non-profits across the United States. Ms. Frisch lives in Austin, Texas with her husband and two children. And when not writing, consulting, and being a mom, she can be found relaxing through fishing, kayaking, and birding anywhere near the ocean! 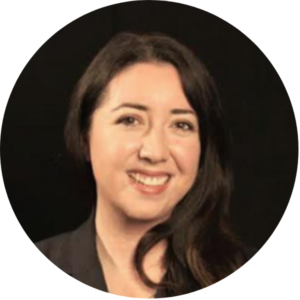 Carina Boston Pinales brings over eight years of experience in social impact, and change management with a focus on addressing community needs through technology, collaboration and advocacy. She has built a reputation by collaborating with some of the leading progressive minds in social innovation and business, including Google Fiber, The Main Street Program and the Rocky Mountain Institute. Carina drives the strategies that help facilitate solutions with business sustainability and growth focusing on opportunities to achieve required business outcomes. Carina holds a background in Psychology as well as a certification in Life Coaching from the American Union of Neuro- Linguistic Programming. Greta Van Raam is a people-loving Arizona native, long fascinated by humans and their behavior. After getting a taste of Psychology in college, she spent several years in the music industry as head of West Coast Promotion for Glassnote Records, and realized that no matter the job, business, or industry — people and their interactions are the base of it all. Hungry to learn more about why people do the things they do, she enrolled in the University of Southern California’s M.S./Human Behavior program, diving deep into the real-world application of Psychology, Organizational Behavior, Decision Making, and Image Management/Online Personalities. 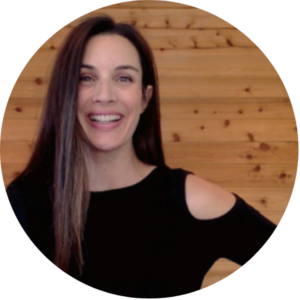 Now based in Austin, Texas, Greta works with Thrival clients with an engaging natural curiosity and facilitation skills together to improve the lives of people at work. Stephanie Grelle holds a B.S. degree in Biology with a Chemistry minor and serves as a Senior Compliance Consultant with the Thrival Company. Stephanie began her career as a Quality Assurance chemist in the pharmaceutical industry, and now has 20 years of experience in the Environmental Compliance field. 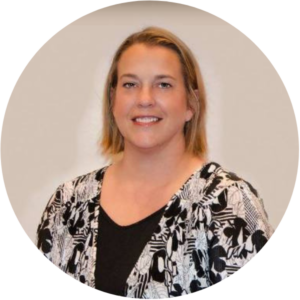 As a Consultant in the Environmental arena, Stephanie has experience in EMS implementation for the Texas A&M System Offices and provided support for the Intellex EMS data management tool. She has compiled facility waste classifications, Federal Title V air permit documentation, and has conducted Screen3 air dispersion modeling to support air permitting applications. Lisa Whited, NCIDQ, M.S. has a passion for improving workplaces. She is a design thinker, change management guru, leader, and community builder. Her work is borne out of the desire to move the needle on the shocking statistic that only 13% of employees worldwide are happy at work. Katherine Ray is a Sr. Management Consultant at the Thrival Company as well as the founder and President of Ray and Associates. In her role, she is responsible for the conduct of general management, human resource management, executive search, financial management, organizational studies, classification and compensation studies; feasibility studies, and applied research assignments for local governments, state agencies, and private sector clients. She also provides training for clients in the areas of management and leadership skills, performance appraisal, team building and conflict resolution, and performs public speaking engagements on these topics; facilitates board, council, and other leadership retreats for clients..
Michael Donat partners with leaders and learners to unleash potential. 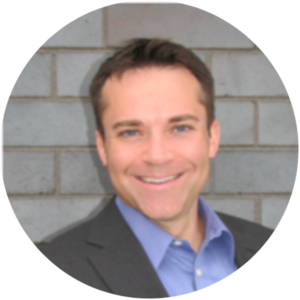 As a consultant, he listens to clients to create links between business needs and tailored learning solutions. 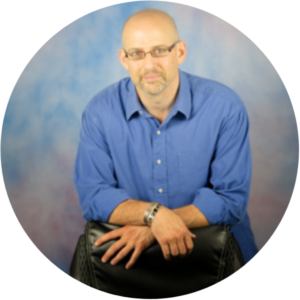 As a coach, he starts with the client’s wisdom and explores options with a focus on awareness and outcomes. As a facilitator, he creates engaging learning environments that extend beyond the event to foster sustainable change for stronger results. His approach to experiential learning includes fusing relevant content with a people-first approach and being fully present. Areas of facilitation expertise include leadership, strategy deployment, change initiatives, and diversity and inclusion. 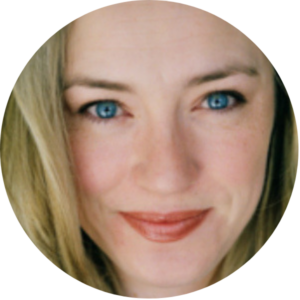 Carrie specializes in leadership coaching and team development for creative and entertainment companies and legal entrepreneurs across the globe. With over a decade of experience working in the busiest commercial casting companies in Los Angeles, Carrie worked directly with high profile clients including: Saatchi & Saatchi, McCann Erickson, BBDO, Leo Burnett, Ogilvy & Mather, Coca-Cola, McDonald’s and Johnson & Johnson. Her unique background as both a performer and business builder give her a special insight to helping her clients balance creativity and business. 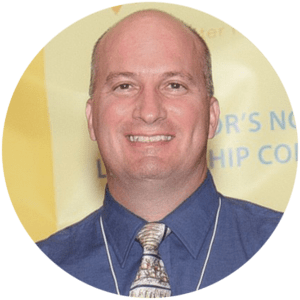 Kevin Barnhart is a versatile consultant, writer, facilitator, and educator with over 25 years of experience in engineering, business, marketing, and consulting across the corporate, non-profit, and government sectors. He has been instrumental in the identification, development, and launch of new technology products and services for emerging markets. His practical technical knowledge and insight influenced global clients to invest in new technologies expanding their market presence and increase revenue. Kevin’s in-depth knowledge of the business and technical communities provides a unique perspective to help clients innovate and transform business challenges into realistic, actionable plans to stimulate growth. Erica’s career is centered on starting uncomfortable conversations. She began as a strategist in the advertising world, helping brands understand multicultural audiences and how to connect with them the most culturally-relevant and empathic way. A passion for people, culture and the human experience, combined with herself being all things “multi” – multiracial, multilingual and multicultural – meant that Erica was constantly finding herself, during presentations to clients, explaining and unpacking topics such as code-switching, implicit bias and cross-cultural communication. 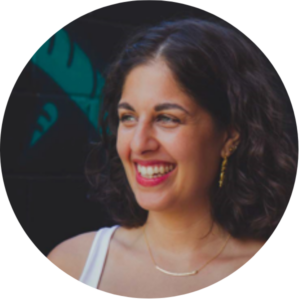 She now focuses her efforts on facilitating conversations around the things she feels are most important for folks to be talking about today. Dr. Michael Frisch is the Director of Facilities, Environment and Compliance for The Thrival Company. He holds a Bachelor’s degree in Chemical Engineering, a Master’s degree in Environmental Engineering, and a Doctorate in Civil Engineering as well as a professional engineering license. He is also a Certified Energy Manager. Dr. Frisch has more than 20 years of experience in facilities management and environmental program design and regulatory compliance, as well as the design of process systems and resource conservation efforts (water, energy, waste, etc.). He is known for his ability to save organizations money on resources and turning “wastes to riches.” With his strong technical background, research experience and training in statistical analysis, Dr. Frisch is responsible for analyzing, evaluating, and verifying the integrity of all data collection efforts. 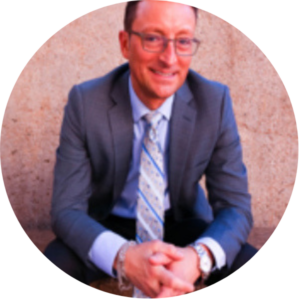 Matthew has over 20 years’ experience in Management, Organization Development and Learning Consultancy across all sectors including corporate, non-profit, and higher education. 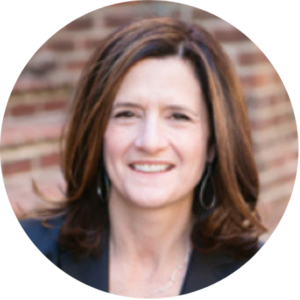 Mary has over twenty years of executive leadership experience, which includes leading large teams in complex organizations, solving organization-wide problems, and implementing large-scale initiatives. She has extensive experience in the strategic human resource management and training arenas. Mary’s strengths are in team building, facilitating, leadership development and coaching individuals to reach their fullest potential. Her approach is dynamic and exploratory. She enables individuals to capitalize on their talents and seek more self-awareness. 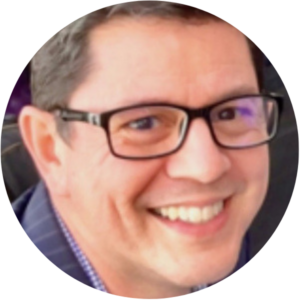 Alberto is an award-winning business / marketing professional with over 20 years’ experience in ideating, selling-in and managing the implementation of a wide range of marketing and sales initiatives in the US, Mexico and across Latin America. Within the training and development industry, Alberto has served as speaker, moderator and facilitator in the consulting, sales, marketing and telecommunications industries. Alberto has been a member of an elite group of trainers tasked to train and on-board Ernst & Young’s new consultants, training over 250 consultants to date in the US and Mexico. 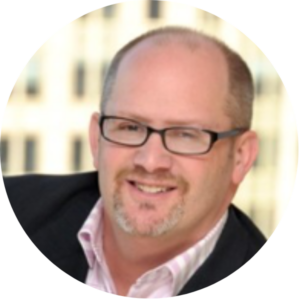 With over 20 years’ experience in corporate real estate and workplace change management, Steve is a recognized industry leader in helping organizations create new office environments with brand awareness, high-impact culture experiences, and operational excellence. In his consultant role, Steve focuses on complex project assignments acting as an extension of his client’s corporate real estate team when strategic and comprehensive oversight is required, whether it involves a HQ relocation, workplace strategy or leadership advisory. Steve uses his unbound energy and creative thinking to make a lasting impression in today’s high-tech workplace. His signature approach to leadership mixes a flair for marketing with a sprinkle of mischief and three measures of hard work. The result is centered around the employee experience. A sought-after keynote speaker, facilitator and coach, Alain Hunkins is a leadership expert who connects the science of high performance with the performing art of leadership. Leaders trust him to help unlock their potential and expand their influence, leading to superior results, increased engagement, higher levels of retention, and greater organizational and personal satisfaction. He has a gift for translating complex concepts from psychology, neuroscience and organizational behavior into simple, practical tools that can be applied on the job. Mary Clark has been designing and facilitating trainings for businesses and institutions since 1996. 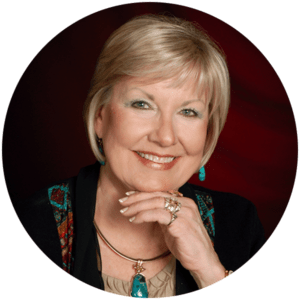 An ATD certified coach with a Master’s of Science in Creativity and Change Leadership, Mary’s charisma and enthusiasm immediately create a rapport with her audience. Mary’s background in training and facilitation includes design, development and implementation. A seasoned facilitator and coach, she specializes in process improvement and innovation, helping to generate solutions to get businesses and the people who run them where they need to go. Clients have described Kristin as their secret weapon; an inspiration, driver for change; irreplaceable. 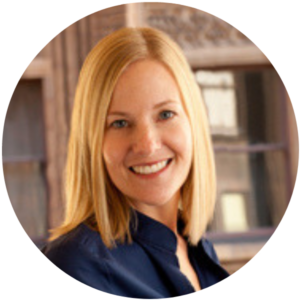 Kristin serves as a strategic partner to her clients as they seek to build brand awareness, re-frame a company vision, story and message, increase audience engagement, improve employee engagement/retention and align sales/marketing departments and efforts. Her clients include small-to-medium-sized organizations across industries in various stages of establishment – from start-up to five decades in business. Dr. Fred Blum is an expert in helping people live the lives that they were made for. It doesn’t matter if they are the CEO of a billion dollar corporation or a stay-at-home mom. When that deep inner voice can’t be ignored any longer, he’s your man. 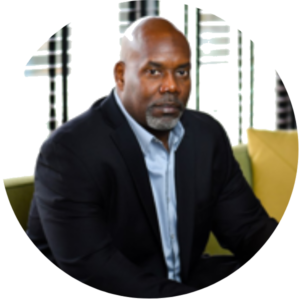 As a Transformative Coach and Speaker, he has been helping executives and high performers create powerful results in the world while maintaining balance of Body, Mind & Spirit for nearly three decades. 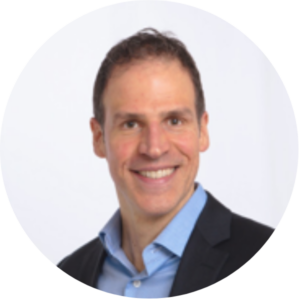 Dr. Blum’s work is about supporting people to live an Energy Rich Life: a life of productivity, vitality, peace, connection and happiness. Working together, he helps people identify outcomes that they define as critical to their lives and achieve those outcomes by freeing up their personal resources and teaching the skills to use those resources most effectively. Julie Chidester is an accomplished marketer with 20 years of experience in digital marketing and media. She has developed online marketing programs for major brands across a range of industries, including automotive, financial, consumer packaged goods, education and technology. 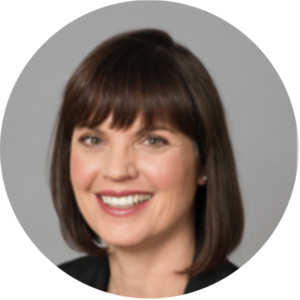 Focused on high-level client service and delivering digital campaigns that support brand image and customer experience while driving performance metrics, Julie strives to balance innovation and analytics to create winning digital strategies for clients. 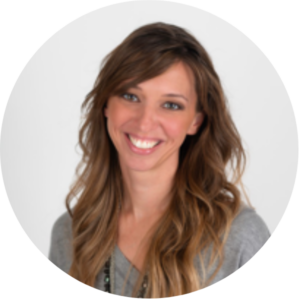 Julie brings this background to The Thrival Company and Your Corporate Shrink and oversees marketing programs for Thrival and its clients. 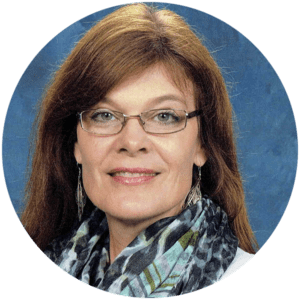 Julie began her career in marketing communications, internet advertising and web content management for companies in the high tech industry, IT consulting firm Whittman-Hart, U.S. Robotics and 3Com Corporation. Moving over to the agency side of business, Julie worked at Four Points Digital in a Sr. Account Management role and then at Critical Mass as the Associate Director of Marketing and Media Services. Since then she has worked as an independent consultant in digital marketing/media planning for Chicago-area digital agencies until recently moving to Austin, TX. Julie holds a BS in Journalism/Advertising from the University of Kansas and a Masters in International Management (MIM) from the Thunderbird School of Global Management. Deanna Koelzer serves as the Client and GSA Program Leader for The Thrival Company. She oversees client account management and customer service, publicity and events, and community outreach. 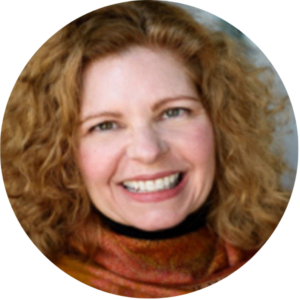 Deanna coordinates all public engagements, keynote speaking events, trade shows and conferences, leadership trainings, and media opportunities for the Your Corporate Shrink team of facilitator and training development consultants. She has also assisted in trainings for several years with nonprofit, corporate, and government clients and now runs a growing government practice area for Thrival Company. Additionally, Deanna provides project oversight for business development initiatives and other client communications work.